Russian Foreign Minister Sergey Lavrov disclosed on Wednesday that his country is investing more than 10 billion dollars in the Iraqi oil sector, pointing out that Russia is moving to implement other projects related to industry, agriculture, energy and transport. "Russia's total investment in Iraq's oil sector is more than 10 billion dollars," Lavrov told a joint news conference with his Iraqi counterpart, Mohammad Ali al-Hakim. He added that "there are projects in industry, agriculture, energy and transport, will be discussed in the framework of the second meeting between Iraq and Russia." He continued: "I would like to thank the Iraqi administration for this meeting and interest in the development of relations between the two countries." 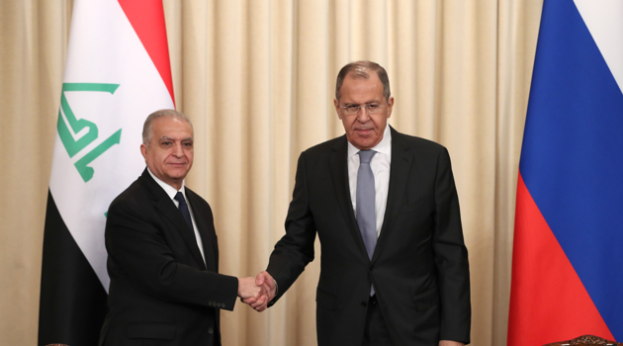 The Russian daily Kommersant reported on the visit of Iraqi Foreign Minister Mohammad Ali al-Hakim to Moscow, where he held talks on the development of trade and economic relations with Russian Deputy Prime Minister Yuri Borisov and Russian Foreign Minister Sergei Lavrov. The newspaper said in its report that according to the Iraqi Foreign Minister, Iraq pledges to fund joint projects with Russia, and a budget for the next four years. In addition, some regional issues were discussed, in which the positions of Baghdad and Moscow corresponded to 100 percent, despite the fact that Iraq's foreign policy was largely dependent on the United States and Iran. She confirmed that Muhammad Ali al-Hakim had received western education. He also served as Minister of Communications and Representative of Iraq at United Nations Headquarters in New York and at the FAO office in Geneva. At the beginning of his meeting with Sergei Lavrov, he initially proposed to discuss everything related to bilateral relations and then move to the regional agenda. She pointed out that this is the first visit of Mohammad Ali al-Hakim to Russia, and it is the first visit of his work since taking office last October. However, without leaving Baghdad, he was able to meet with a number of foreign officials. In January, the French foreign minister and the Iranian foreign minister visited Iraq, and al-Hakim met with his American counterpart, Mike Pompeo. In contrast, Lavrov has not visited Baghdad since 2014, but conditions appear to be changing this year. There is no specific date for Iraqi President Barham Salih's visit to Russia, but it is believed to be at the beginning of this year. In general, plans have been developed to develop bilateral relations between the two countries. In March, the eighth meeting of the IGC is scheduled to take place in Baghdad, in addition to the holding of the Business Forum. The newspaper noted that Moscow is considering this proposal, expressed its interest in strengthening trade and economic ties and investment with Iraq. In the field of investment, especially in the hydrocarbons sector, there are excellent results. Russian companies such as Lukoil, Gazprom Naft and Soyuz Oil Gas are operating in Iraq. Rosneft also expressed interest in participating in Iraqi projects. 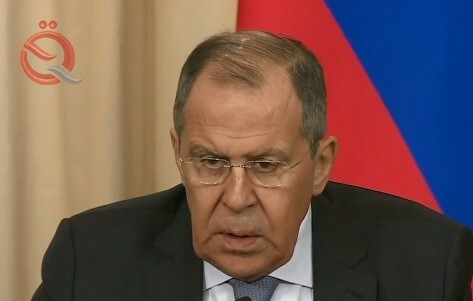 "The total investment in the industry exceeded $ 10 billion," Sergey Lavrov said at the press conference following the talks. Lukoil is developing the West Qurna oil field, which accounts for nine percent of the country's total oil production. According to contracts renewed last year, the company must double production in the West Qurna region, by 2025, to 800 thousand barrels per day. Luk Orell plans to build an oil pipeline in West Qurna 2. Gazprom is developing the Badra field in eastern Iraq near the Iranian border. Gazprom also conducts geological exploration in Iraqi Kurdistan. She reported that Rosneft is active in Kurdistan Iraq and is an operator of the export pipeline from Kurdistan to Turkey. In the year 2017, Rosneft provided Kurdistan authorities with $ 1.3 billion as a pre-payment to buy oil from the Kirkuk fields. In addition, Rosneft announced the signing of agreements with Kurdistan on the extension of five oil fields. As a result, the Iraqi government, which insists that all contracts must pass through Baghdad rather than regional authorities, has been upset. But at present, the supply of oil from Kirkuk continues through Kurdistan without any problems. In other sectors, the presence of Russian companies in Iraq is still virtual, as Iraq modernizes the power industry. In this regard, some Russian companies over the past two years have shown interest in this issue, but so far there are no serious negotiations. The issue of the involvement of Russian companies in modernizing Iraqi railways and ports is also raised regularly, without any clear details on the matter. During the Iraqi Foreign Minister's visit to Moscow, he spoke about promising areas of cooperation such as energy, industry and agriculture. He also stressed that the Iraqi budget includes funds for joint Russian-Iraqi projects in the next four years. Iraq has many projects related to the reconstruction of the country, especially the areas affected by the organization of the state, the more the number of countries participating in these projects, the lower the costs for the Iraqi authorities. "Iraq is interested in Russian business," said Ruslan Mamidov, the coordinator of the Russian Council for International Affairs. Mamedov said that cooperation with Russia is very important for Iraq, not only economically, but also politically. For its part, Russia is accused of political cooperation with Iraq, given its geographical proximity to Syria and Iran, as well as its role in OPEC, and its growing ambitions in the Arab political arena. In conclusion, the newspaper pointed out that Mamidov considers that the role of Iraq in the region is changing dramatically, as Iraq becomes a victim of war to an active player and influential, which means that it may be useful to allies. Interestingly, Moscow's positions are largely in line with Baghdad's positions on regional issues, thus facilitating the process of cooperation.